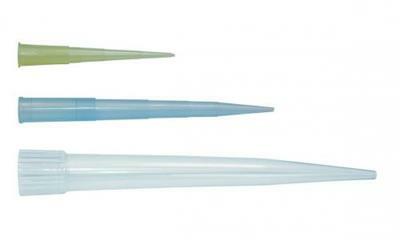 LLG pipette tips economy non-sterile. Made of Polypropylene. Certified free of DNase; RNase; suitable for microbiology. Guaranteed metal free. LLG universal fit tips are engineered for a wide variety of pipettes and are ideal for laboratories with multiple brands of pipettes; even multi-channel pipettes. Our universal tips feature the universal grip design; using flexible materials with a series of bands and supports producing a positive seal. LLG tips have thin walls and a small surface area at the tip; greatly minimising the possibility of the tip retaining sample droplets. In addition the small surface area reduces the touch-off angle between the outer tip wall and the receiving sample tube. This reduced touch-off angle virtually eliminates the potential of capillary retention between the tip orifice and tube wall. Each of our tips is moulded to give a flash-free and uniform delivery orifice for consistent accuracy and reproducible sample delivery. All our tips are provided with calibration lines at specific volumes; acting as visual checks to minimise any risk of errors during sample aspiration. Packed 2 bags of 500.